Starting today, people will be paying more to seek a solution through Ontario's civil court system. 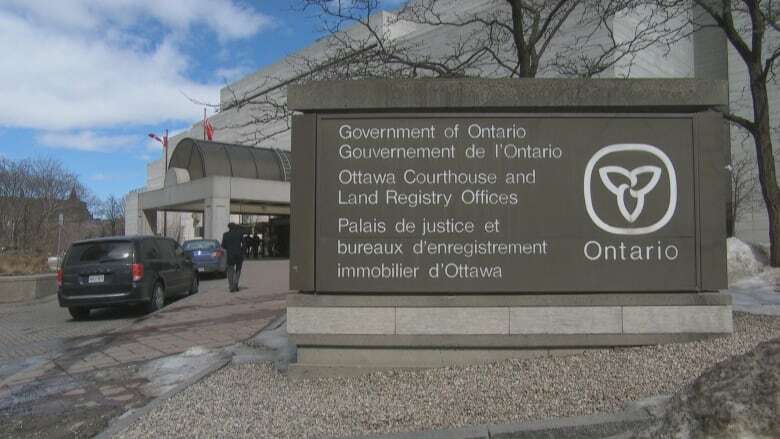 Starting April 1, plaintiffs in Ontario's civil court system will have to pay more to file lawsuits, apply for a hearing in front of a judge, and set trial dates. Whether it's fighting a divorce or suing for damages after a collision, many Ontarians will now be paying more to seek solutions through the province's civil court system. New fee hikes take effect today and critics say they'll blocking access to justice for people who can least afford it. In the civil justice system — whether in family court or small claims court — plaintiffs have to pay a fee for practically every step they take. As of today, there are nearly 80 fee changes, ranging from small one-dollar increases to changes that double the costs of certain services, costing litigants hundreds of dollars. Ontario's Progressive Conservative government says fees haven't risen in more than 15 years, and the new price structure better reflects the cost of doing business. The Ministry of the Attorney General says the higher rates bring the province closer to "full cost recovery." Prior to the increases, the province was recovering less than a third of its costs, the ministry said. The higher fees will primarily hurt people who can't afford a lawyer and are representing themselves, said Miriam Vale Peters, a civil litigator in Ottawa. "It will certainly affect the people who can't afford the fees to begin with … The move seems to be keeping people out of the courthouse," said Vale Peters. One consequence is that people could be deterred from going to court to file motions and make appearances, she said. "If you're representing yourself, it means you're trying to save money," Vale Peters said. "You're also, of course, trying to pursue someone to collect money — presumably this is another expense on top of what you've already lost." Personal injury lawyer Frances Shapiro Munn is worried about the seemingly arbitrary manner in which the new rates were set. Although the cost of filing a lawsuit has gone up minimally — only by seven dollars — the cost of advancing cases through the courts has skyrocketed. For small claims court, the cost of applying for a hearing in front of a judge has doubled to $380. In family court, hearings now cost $420 to schedule. And in civil cases, the price for setting a trial date has doubled to $810. Shapiro Munn says the fee restructuring may affect lawyers' ability to offer contingency fees and take on legal costs before a settlement is reached. She's also concerned cases could take even longer to conclude because lawyers will put off setting a trial date. "In Ottawa, we often don't get a date for two or three years. The process of moving toward trial is painfully slow," Shapiro Munn said. "So getting something down for trial as soon as possible is very important because if you don't, you may be making an injured person wait many years." The Ontario government says while fees will continue to rise with the cost of inflation each year, more people will now qualify to have them waived. Ontarians can now get a break from fees if they earn less than $30,000 a year. Before April 2019, the plaintiffs who qualified for a waiver had to earn less than $24,000 annually.